Posted on December 5, 2017 at 3:53 pm. 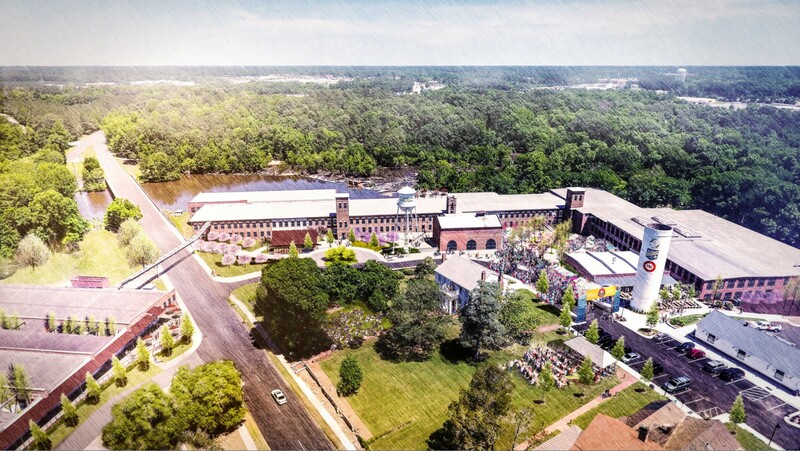 Launched in fall 2017, The Rocky Mount Mills Brewery Incubator is a unique offering for start-up breweries. The Incubator is designed for start-ups with a sound concept and business plan in place and also for existing, seasoned brewers looking for a second location to increase production volume. Based on best practices honed through years of brewing experience by Rocky Mount Mills staff as well as principles shared with the Incubator by sister organization, The American Underground start-up hub, the Incubator launched with four companies in November 2017. BDD Brewing Company, Bull Durham Beer Company, HopFly Brewing Company and Planetary Elixirs will work in a refurbished 6,000 square foot shipping warehouse on the nearly two-hundred-year-old campus. Each space has a 10 bbl brew system with fermenters in each space to produce up to 1,000 bbl per year and an eight-tap kegerator. In addition, each tenant has access to a keg washer, a 5-head canning line, dry and cold storage and a public beer garden to sell and serve their product. Year One: Solidify concept and get their feet wet in not only producing beer but preparing a business. Year Two: Grow the business to include distribution channels and develop and hone a fulfillment strategy. Year Three: Strengthen the business plan for both short and long term financing that will take the brewer to their next phases along a projected timeline.